Leadership — Advanced Fab Technology Inc.
Advanced Fab Technology team brings expertise and unique problem-solving skills together through more than 40 years of semiconductor industry experience earned with state-of-the-art waferfabs and equipments. Our team’s global success and fab performance enhancement methodology have proven to produce improved yield results as well as client satisfaction. Mr. Fernandez has been involved in the semiconductor industry for more than 40 years. He gained hands-on experience under Texas Instruments for 29 years working under Engineering and Manufacturing Operations divisions, where he developed a holistic methodology based on science and engineering experience knowledge and proved it in numerous waferfabs operating at different technology nodes. Under PDF Solutions and Applied Materials, he worked as fellow as well as managing director in yield consultancy, where his unique methodology helped fabs imrove yield in 15-25% range. His consultancy for 8 waferfab startups and 12 technology transfers throughout his career have proven his expertise in semiconductor industry globally. Dr. Tigelaar is a fellow under Texas Instruments, under which he worked as Process and Process Integration Engineer and Manager to develop next generation technologies. Under PDF Solutions, he gained experience as Senior Engineer, where he identified and helped to resolve yield issues at multiple IC foundries. Dr. Tigelaar has more than 30 publications in scientific journals and holds more than 70 patents. As a Distinguished Member of Technical Staff under Texas Instruments for years, Dr. Gunturi served as a problem-solving and self-driven engineering executive. For 26 years he demonstrated his expertise in various technical fields primarily in semiconductor processing, DoE and testing, IT as well as electrical and physical failure analysis for root cause and technology transfer. He has made presentations and shared his expertise under Technical Aspects of Silicon Defects to Critical Customer, Technical Data to Automotive Customer for Readiness of Embedded Flash Product Process for Shipping Product. Dr. Gunturi has been involved in International Symposium of Test and Failure Analysis for several years and holds several patents on flash memory. 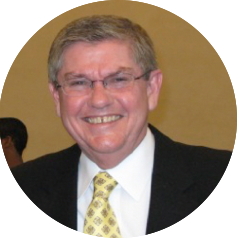 Dr. McPherson has ben internationally recognized as an expert in Reliability Physics & Engineering. He has published over 200 papers on reliability, authored the Reliability Chapters for 4 Books, and awarded 20 patents. He was formerly a Texas Instruments Senior Fellow and past General Chairman of the IEEE IRPS and still serves on its Board of Directors. He has been the Chairman of the International Sematech Reliability Council and is still an IEEE Fellow. His semiconductor reliability expertise includes device-physics, design-in reliability, wafer-level reliability testing, and assembly-related issues. Several of the reliability models that are used today in the semiconductor industry are closely associated with his name. Most recently, Dr. McPherson authored a reliability textbook named “Reliability Physics and Engineering” that is widely used by students and practicing engineers.